Pest control service in Perth has become popular with the damned with agencies coming up with various modern techniques to fight and identify the pest colonies. A big deal of profit of a country is created by the commercial properties, hence it is quintessential to keep the people e working in those buildings and the appliances they use hazard free from the menace of pests. Commercial properties are generally in big places like industrial buildings, offices, warehouses, hotels, hospitals or multifamily apartments. Various pests can be found in the commercial properties, like lizards, spiders, wasps, cockroaches, bees, , rodents, bed bugs, birds and bird mites. Pests do not only infest the properties but all affects the health of people working inside. This has created a demand for various commercial property pest control agencies like Enviro Pest Control, which helps in dealing with these pests and keep them away for a long time. If you have spotted such infestations, then the first thing to do is to book a commercial pest inspection. They have experts who are equipped with the right combination of pesticides and know how to fight the pests off your building. Pests get entrance into buildings from multiple openings like cracks and crevices. The pest control experts can identify them easily and use treatments accordingly. One of most common insects found in commercial properties are flies. They can real irritants and may also prove to be dangerous for health at times. Commercial pest inspections services deal differently with different threats. In case of flies they can use different control plans and suggest treatments like combination of light traps, baiting, chemical controls and exclusion to help prevent infestations. Commercial property pest control service providers first recognize the problems by doing initial inspection of building and their surroundings to recognize the problems. They use chemicals for cleaning the floor and drains, which is generally a unique blend of naturally occurring enzymes and beneficial bacteria that helps to get a clean production environment. They know perfectly what kind of pesticide or insecticide is detrimental to health especially for pets and children. Hence self-expertise in these cases is strictly prohibited. Since, not all have the proper knowledge about such chemicals, it is best to leave them to experts. Spiders are harmful to human beings in many ways. Pest management experts have several modern as well as traditional techniques to drive away spiders from residential and commercial places, too. Appoint them earliest. 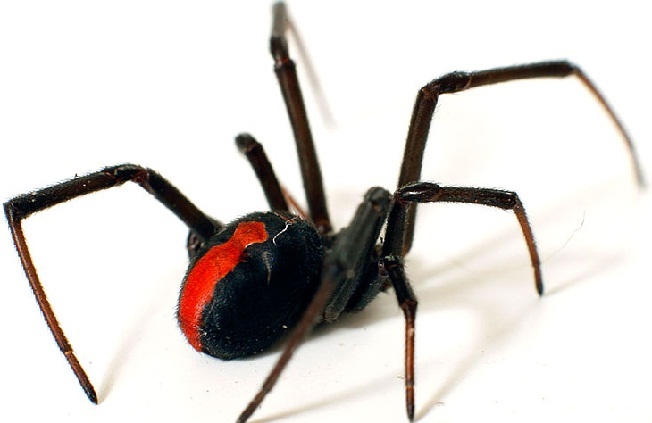 Spiders infest at places in residences and commercial places. They populate much in dampened places where any human hand hardly reaches. It is important to know that although many spiders are harmless to human beings, some spiders are fatal to them. Spider bite may lead to death or permanent paralysis to many extents. Spiders can also camouflage and this gives them the advantage to live safely from their enemies. Pest control activities can be made by professionals as well as homemade solutions. 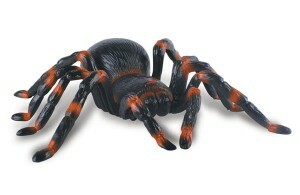 However, professional help in spider control services is safer, less costly, and more beneficial. Seeking experts’ help in controlling pests can ensure you safety and good hygiene in your place, that too without any hazard. Pest management people should remove some spider infestation sources like clutter in the yard and they need to move spaces and any ground covers slowly against the initial walls. Any cleanliness step to remove spiders’ favorable conditions is the first movement in controlling them. It is also important to get rid of other pests using a routine insecticide. Traditional treatments should also be considered to remove them since spiders use other insects as their food sources. Inspection is a vital part of spider control. Companies like Enviro Pest Control organize such inspection programs to check the place and kind of infestation that has already spread. Such spider inspections Service allows the inhabitants to stay at home safely even when actual spider removal programs take place. Although most spiders prefer to live in humid places, others have their preference in living in warm and dry places. Anyone can notice them in upper corners of attics and rooms. They are also found at sub floor air-vents. Most spiders choose to hide in dark cracks and corners. They take shelter in such locations to construct material for their webs. Pest control service providers take care of these locations so that spiders remove from the entire building in a short span of time possible. Are You Using Commercial Property Pest Control Services? Commercial pest inspection is not only a necessity but also very much effective in maintaining business activities in a healthy and hygienic way in your commercial place. Pest control services must be environment friendly. Controlling pests is not really difficult in Western Australia. In Perth and other places in this part of the country a rising number of pest control companies have come up in recent times. Many residence owners and commercial place owners have realized the necessity of professional pest management activities which can take care and control of any bug that may populate in those places. Pest in residences can somehow be managed by family members by traditional methods. However, professional support for commercial property pest control activities is essential. Any type of pest can populate in such places. Rodents, cockroaches, ants, spiders, termites, wasps, and flies are the most common pests that take place in most commercial buildings. Business place owners can contact reputed pest management firms online and seek for a quotation. However, agencies like Enviro Pest Control inspects first before it prepares quotation. A quotation prepared by this firm is final before it starts working. Skilled pest control experts must visit your business place and check possibility of pests and which have already started infesting in the nook and crannies of the building. Many pests are harmful for human beings. Moreover, they also cause harm in different human activities. While commercial Pest Inspection is essential, its cost must fit your budget. Therefore, it is very much necessary to communicate with the reputed pest control service for paying a visit to your place and decide the budget so that you can negotiate, if necessary, with them and give them the go ahead to start working. Getting late in taking charge of pest infestation can make things beyond your control. Pests not only bring potential threats to human beings but also create problems in human activities. Pest control products and services should not pollute environment in any way. These must also be completely safe for pets and children. 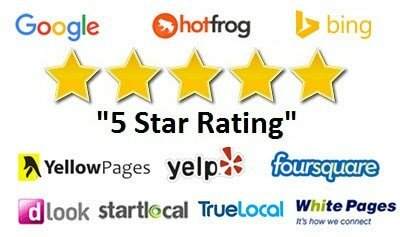 Author administratorPosted on December 30, 2018 December 30, 2018 Categories pest control waTags commercial Pest Inspection, commercial property pest controlLeave a comment on Are You Using Commercial Property Pest Control Services?